How do you take nice photos? Whenever they use my camera or their phones, they struggle to make photos look nice. When my friends go traveling, they shoot me texts saying that they wish I were there to help them with phototaking. Well, here I am, ready to share with you 3 easy tips on taking high quality photos. 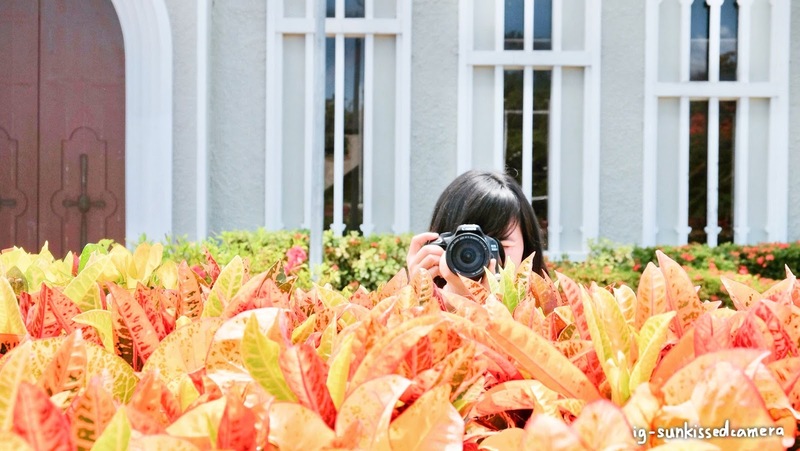 Don’t worry if you are a beginner to photography. I’ve got you here! One thing that is very important is to have a focus point. What does it mean to have a focus point? Basically something something that stands out in your photos, something that viewers would notice at the very first second they look at your photos. It could be a model, or maybe something that a person is holding, such as my camera (like the one in the photo above). Having a focus point allows viewers to know where to look for the highlight of your photos, and allows your photos to have a purpose. This tip is useful for any types of photos, so remember to make something the focus point of your photos! This is something very VERY important. I always tell my friends what type of backgrounds would go well with them. For example, one of my friends love wearing the most fashionable clothes. I then pair her up with street art, where she fits in well, and ends up with the most amazing photos taken. However, no matter how pretty street art is, I just don’t look nice in photos of street art (I wish I did but I just don’t…) I fit better with nature and simple backgrounds, which again, not everyone fits with. Just remember that everyone fits well with different styles. To take nice photos, make sure you match the background with the styles of your models! 3. Capture your models’ most natural look! This is one of the MOST important tips I have. I don’t like asking people to pose, because that just limits their creativity. I love doing shots when people do not notice, and that’s often when they feel the most comfortable! This tip has helped me through many photoshoots, and has allowed me to take numerous beautiful photos! Look at other photographers’ work but don’t copy them! Develop your own style and it will show over time. Some of the great photos that I look at come from Bradon Woelfel’s photography and Renee Roaming’s travel photography. So here you go! 3 easy tips on taking high quality photos! I hope it helps you a bit in your photo taking journey! If you enjoyed it, feel free to comment or share the post. To see more of my photography, follow me on my way to my photography instagram!